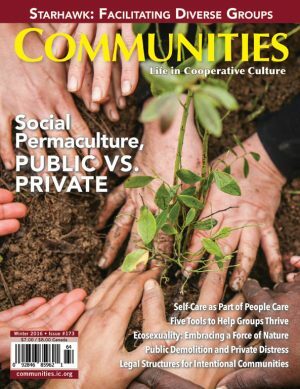 Started in 1972, Communities magazine is the number one source for information about cooperative living. 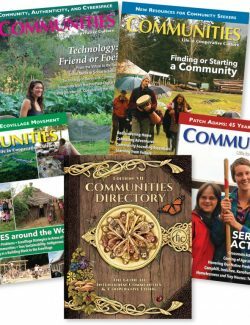 Our readers expect us to share inspiring stories about alternative living as well as the nuts-and-bolts information on how to make it work. 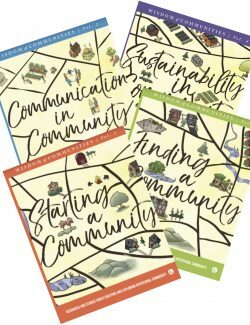 As the flagship publication for The Fellowship for Intentional Community (FIC), Communities magazine is supported in part by the FIC, and our limited, mission-matched advertisers. Most of all, we depend on the financial and volunteer support of our avid readership. 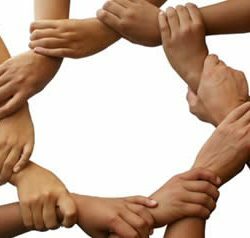 The generous support of our readers allows us to keep reaching out to thousands with cooperative solutions to the tough challenges that confront us all. Partner with us and the generous individuals and organizations like you that are interested in the leading edge of culture. 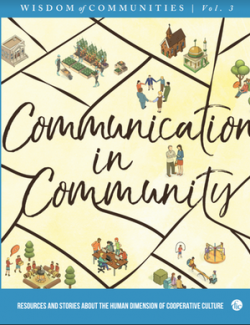 You can make a secure and tax deductible Communities Magazine donation today by selecting an amount above and checking out. On behalf of Communities, thank you!